Factory Built - Set up In Only a Few Hours! The Grand Slam Starter Play Set includes the Grand Slam kit, Scoop Slide, Rigid Swing Seat, and Swing Hangers. Everything is Included for the playset as shown. Estimated Assembly Time for 2 people is 7 to 9 hours. All PlayStar Retailers will have a complete Price for this project and may vary from what is listed below. 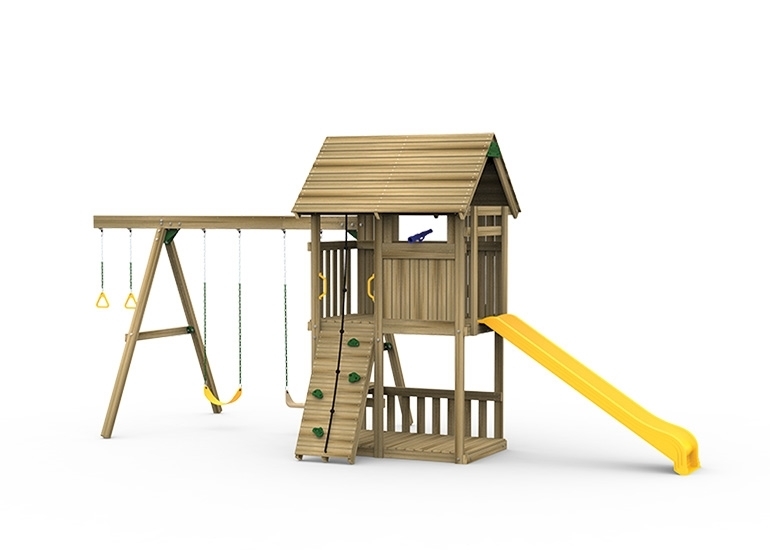 The factory built wooden sets are custom built and available in approximately two weeks. 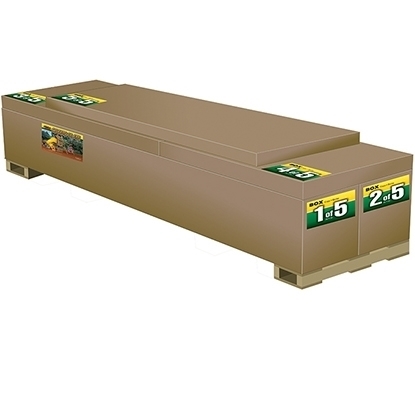 If Added to Cart below freight is "curbside" delivery by contracted carriers. Product may be available from your local retailer and will ship directly to that location. All PlayStar playground equipment is designed to enhance your child's physical development and social skills. It is thoroughly tested in technical and real world situations to assure your family many years of enjoyment and satisfaction. 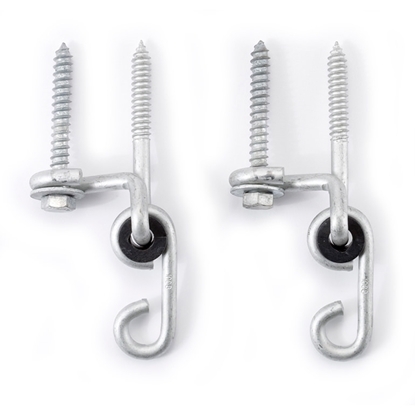 Patented Third Leg on all Swing Beams at Tower to Add Stability. 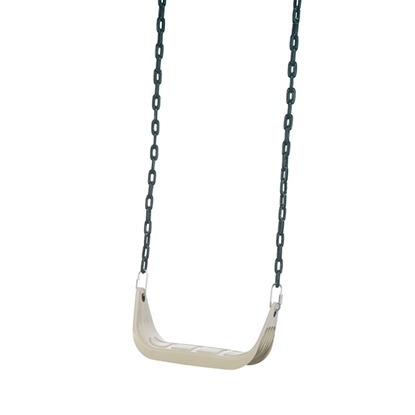 Swing set Accessories are larger, more durable and designed specifically to fit children ages 2 to 10 and to withstand the rigors of outdoor backyard play. Shop and compare. 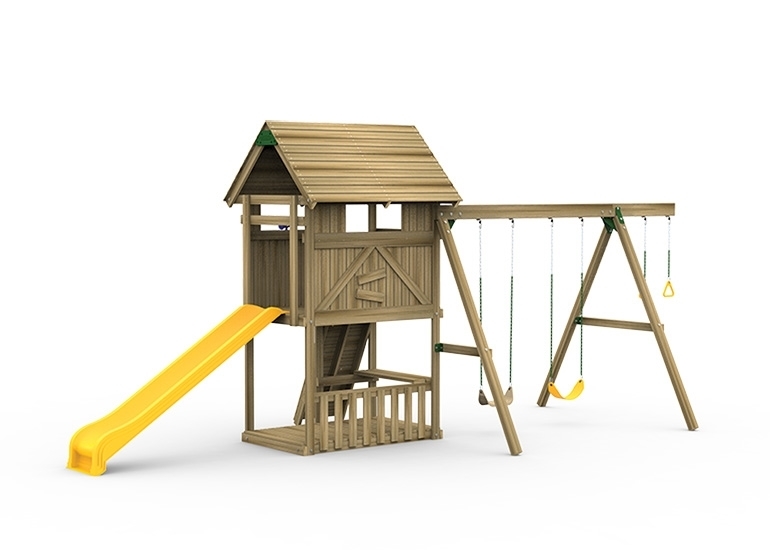 We are confident you will love our home playground equipment. Consumer Surveys consistently award PlayStar 99% Customer Satisfaction ratings. PlayStar provides the geatest number of activities and play deck space for your investment. 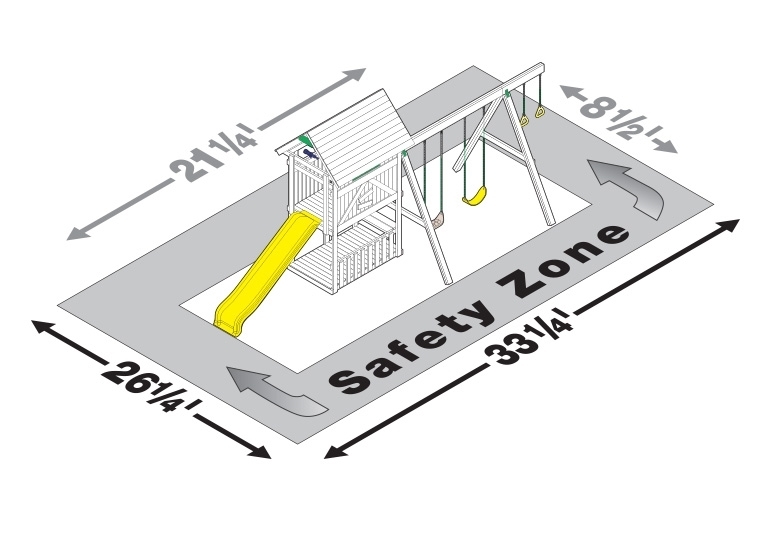 We are the only swingset manufacturer to offer 3 distinct Play Systems for your individual lifestyle. Each has a Full Ten-Year Warranty. Have a question of your own? Please feel free to click below or call us at 1-888-PLAYSTAR (752-9782) where you will be greeted by a live voice. WE GLADLY ACCEPT. . .